For centuries, people have been fascinated by the power and secrets of mediums. And today, many are interested in making contact with the spirit world themselves--either to communicate with loved ones, heal the sick, or discover knowledge-- but don't know how. Yet, as Larry Dreller writes, "At birth we all are given the gift of seeing beyond this humble Earth plane into other dimensions, but as we grow older we cast this natural ability aside. Mediums did not lose this ability and are people who act as intermediaries between this world and the 'other side'." 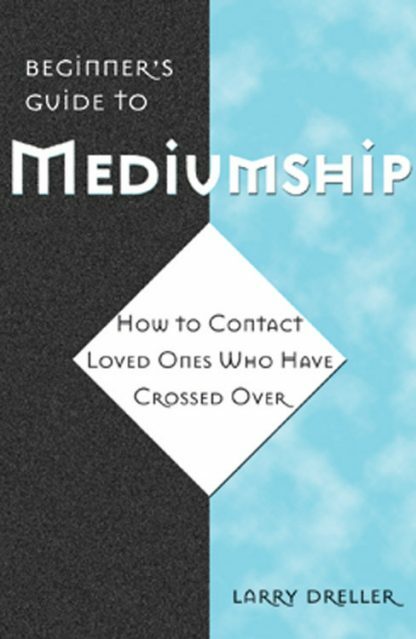 Both an introduction to this phenomenon as well as a workbook that guides the reader through exercises to reawaken their abilities, the Beginner's Guide to Mediumship shows how to develop spiritual powers, conduct seances, harness the power of prophecy, comfort and heal others, see auras, and more. Drawing on his own experience, Dreller focuses on pure and practical day-to-day applications of mediumship and how they can enrich readers lives. Larry Dreller has been involved in seance mediumship since he was a teenager. He has lead seance study groups and conducts private seance sessions.